JoJo's Lite Brite Emporium: OM NOM NOM NOM. PAC MAN design! OM NOM NOM NOM. PAC MAN design! 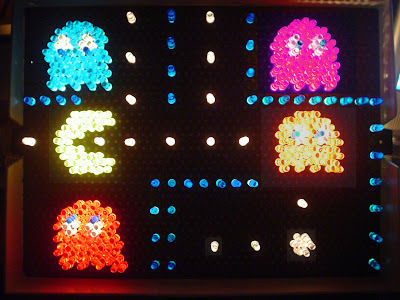 Pac Man and Lite Brite combined? Is there anything NOT to love?? I fugured PAC MAN would be the first quintessential old school game to immortalize in Lite Brite. So here's how the it actually looks with the lights on and no flash. ...you tryin' to tell us somethin'? It arrived! And the first Lite Brite design!